The future of the Internet is in the hands of the next billion users — the latest generation of internet users to come online on smartphones in places like Brazil, China, India, Indonesia and Nigeria. People in these countries are facing very different constraints to accessing the internet. In this talk, we’ll cover best practices, guidelines and applied examples of how mobile developers can build their apps to be truly global and inclusive. Come and learn how to create great experiences that work well for billions of users around the world. 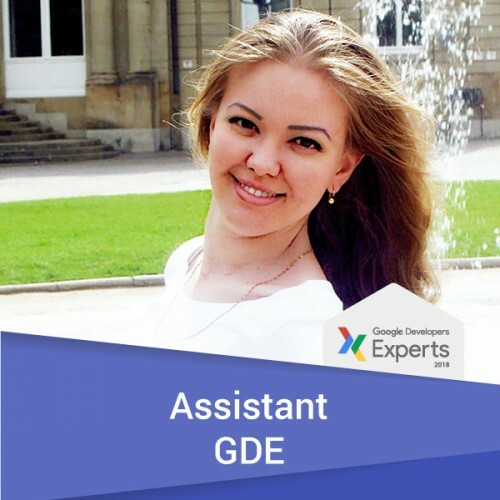 Dr. Aygul Zagidullina is a Google Developer Expert (GDE) for Assistant. Her work experience includes Google, Todoist, MotaWord. She holds a PhD in quantum chemistry and prior to Google dedicated 6 years to scientific research at the University of Stuttgart. Aygul is a very active member of the London digital ecosystem and has been involved in many innovative projects. She is a Google Developer Group (GDG)/Women Techmakers (WTM) London lead, Google Top Contributor (TC) and UK STEM Ambassador. Aygul was named as one of The NEXT 100 Top Influencers of the European Digital Industry in 2013.